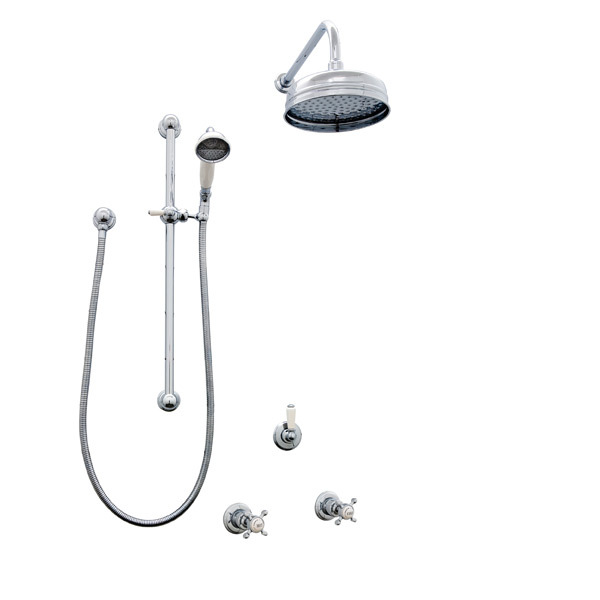 The Perrin & Rowe Example Shower Set 4A includes the handshower on sliding rail, and overhead arm with shower rose, diverter and a pair of wall valve taps. Handshowers on sliding rails are ideal for a growing family, and excellent for easy cleaning around the shower box, while the overhead shower provides a fixed height option. 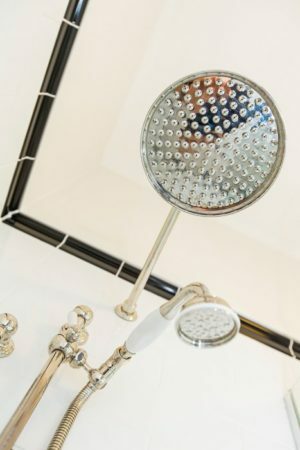 Alternate between the two for a flexible arrangement for the whole household. 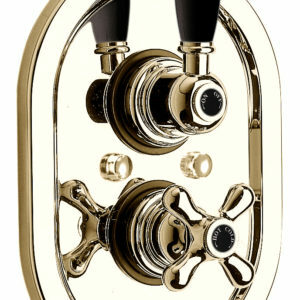 The simplicity of a pair of beautiful taps is hard to beat. 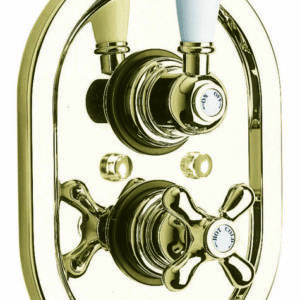 Crosshead handles feature ‘Perrin & Rowe Mayfair’ surrounding ‘HOT’ or ‘COLD’ lettering on a glazed porcelain dome. 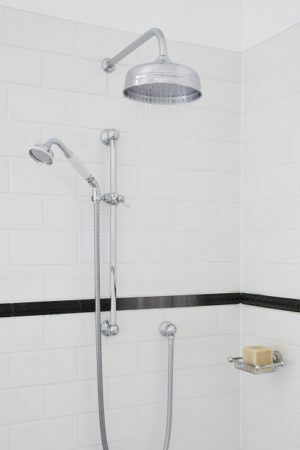 They offer a traditional look whilst employing quality ceramic disc valves. 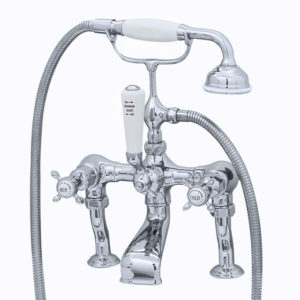 The diverter distributes the mixed water from the valves, to the outlets. 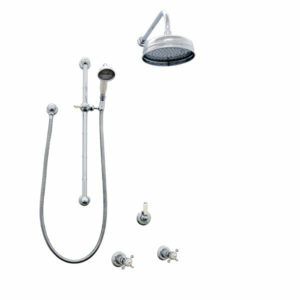 This enables the user to diverter water flow from shower rose to handshower.